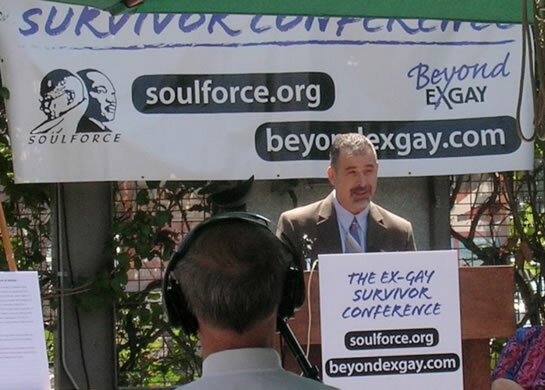 August 16, 2007 — Three former ex-gay leaders in Australia add their names to the Apology from Former Ex-Gay Leaders! As former leaders of ex-gay ministries, we apologize to those individuals and families who believed our message that there is something inherently wrong with being gay, lesbian, bisexual, or transgender. Some who heard our message were compelled to try to change an integral part of themselves, bringing harm to themselves and their families. Although we acted in good faith, we have since witnessed the isolation, shame, fear, and loss of faith that this message creates. We apologize for our part in the message of broken truth we spoke on behalf of Exodus and other organizations. We call on other former ex-gay leaders to join the healing and reconciliation process by adding their names to this apology. We encourage current leaders of ex-gay programs to have the courage to evaluate the fruit of their programs. We ask them to consider the long-term effects of their ministry.